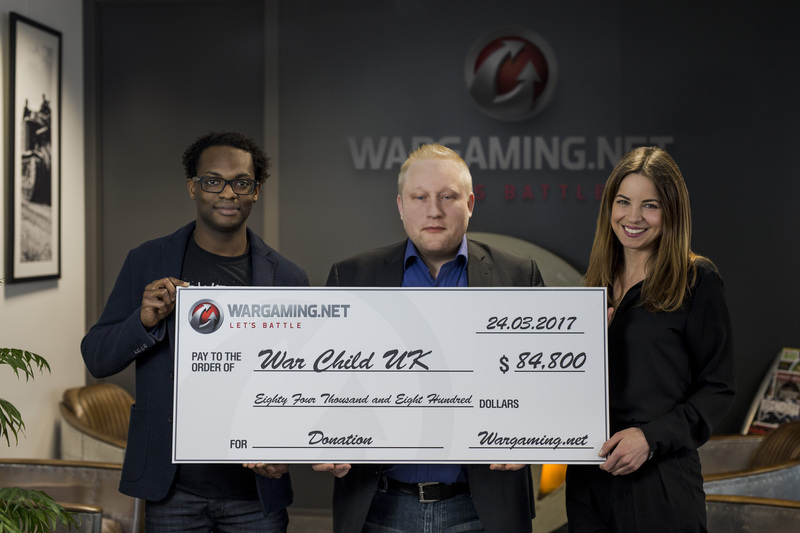 Near the end of 2016, Wargaming and World of Tanks PC and Console joined forces with War Child’s Armistice Campaign to support children affected by conflict across the world. War Child is a charity organisation that protects, educates, and campaigns for the rights of children affected by war in some of the world’s most brutal environments. For World of Tanks PC, a special War Child emblem pack was created, which was available in the Premium Shop. For World of Tanks Console, you could get the special War Child Charity Bundle, which contained several helpful in-game consumables. "As a retired soldier I have witnessed first-hand the remarkable and invaluable work that War Child do in areas affected by conflict. I am extremely proud of both Wargaming and our fabulous community for supporting this incredible and invaluable Charity." All total net proceeds from the sale of the emblem will go directly to War Child, to help with their charitable efforts across the globe and those most in need. To date, over 80,000 EUR (84.800 USD) was raised through World of Tanks PC and World of Tanks Console. Wargaming is proud to continue to help those affected by armed conflict and are extremely grateful to all those players who donated to such a worthy cause. By partnering with War Child once again, we can continue to raise awareness and provide aid to those who most need it. Remember—you can still donate to War Child, so if you haven’t had chance to join the Armistice, there is still time! Thank you to everyone who has taken part so far!